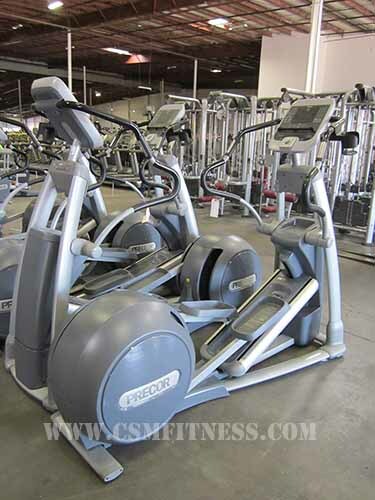 The PRECOR EFX546i EXPERIENCE ELLIPTICAL has been chosen as a leading piece of cardio equipment in the more recent years. This piece of equipment can often be found in some of the leading corporate gyms, and rightfully so. It is equipped with a patented stride that is easier on the joints and lower back. Ultimately, this feature puts less strain on the body and makes it feel as if one is not working out as hard as they actually are. What results are more calories burned with less physical pain/stress; a great piece of equipment for those who are out of shape, just getting started, or proceeding through rehabilitation. Being such a heavy and durable piece of cardio equipment, the PRECOR EFX546i is ideally suited for a gym and health club setting.